[24% OFF] 2019 Floral High Leg Underwire Bikini In DENIM DARK BLUE | ZAFUL ..
A stunning bikini to grab eyes in the crowd! 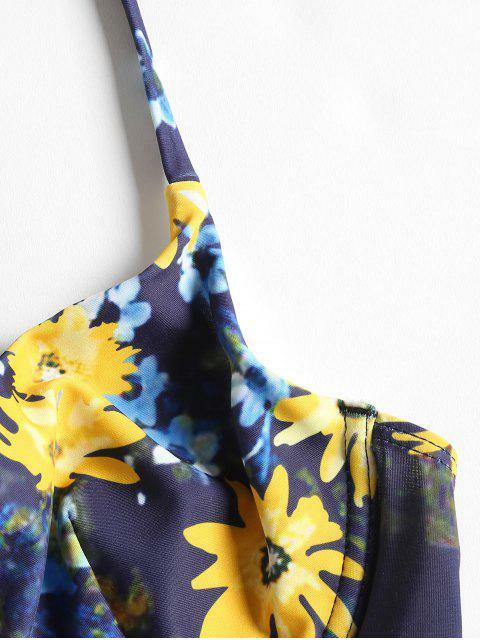 Made of fine fabric and featured with allover floral, this bikini style covers an underwire bra top without pads for ventilation and a pair of high cut briefs to complete the look. The slender shoulder straps are adjustable that can make for a suitable fit.